Take a break from riding the waves off British Columbia’s ‘Tough City’ and experience artwork, a beach resort, strong coffee, small-batch beers, locally sourced food and souvenir shopping. 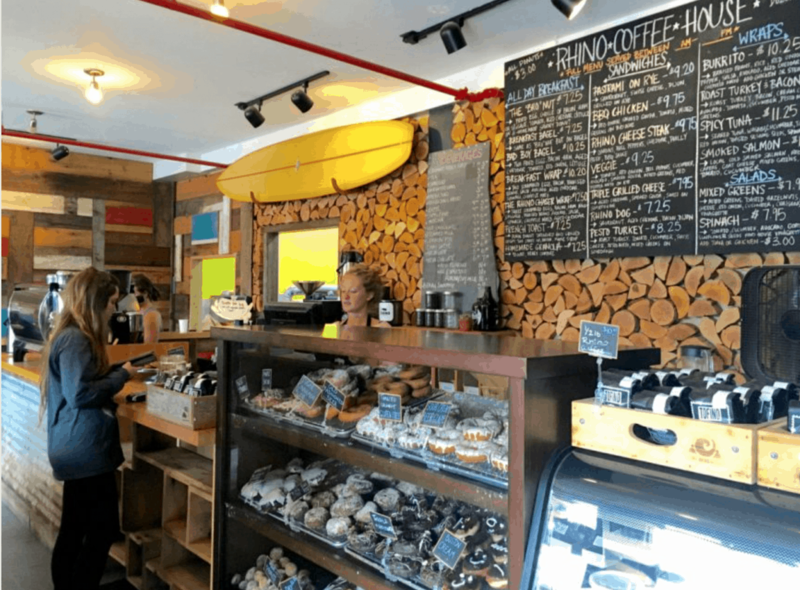 Starting a day of exploring with a strong cup of coffee is a must, so head straight to Rhino, a funky surf-inspired coffee shop with house-roasted beans and an all-day breakfast menu that’ll hit the spot. Located right on the main drag, Campbell St., sandwiched between Storm Surf Shop and Piña clothing store, it also provides primo people-watching. Be sure to taste one of the house-made artisan doughnuts — the Sour Cream Beer Glaze is delicious. When it opened its heavy beaten-copper doors to the public in 1986, Eagle Aerie Gallery had been one of the first businesses in town not connected to fishing, canning or logging. 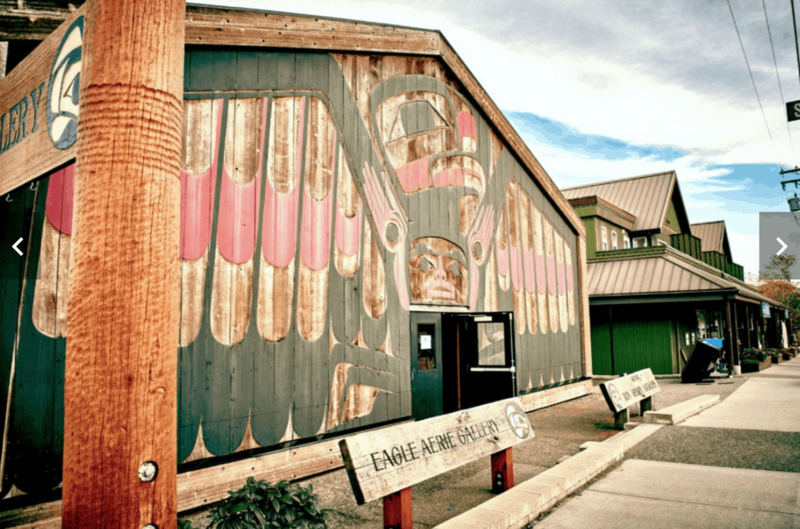 Artist Roy Henry Vickers, with the help of family and master carver Henry Nolla, built the gallery in the way of a traditional northwest coast red-cedar longhouse, to serve as a permanent home for his bold, nature-inspired prints and paintings. Little did he know it would become a Tofino landmark. The funky cedar-sided building that now houses Shelter used to be a sleepy, seasonal restaurant. 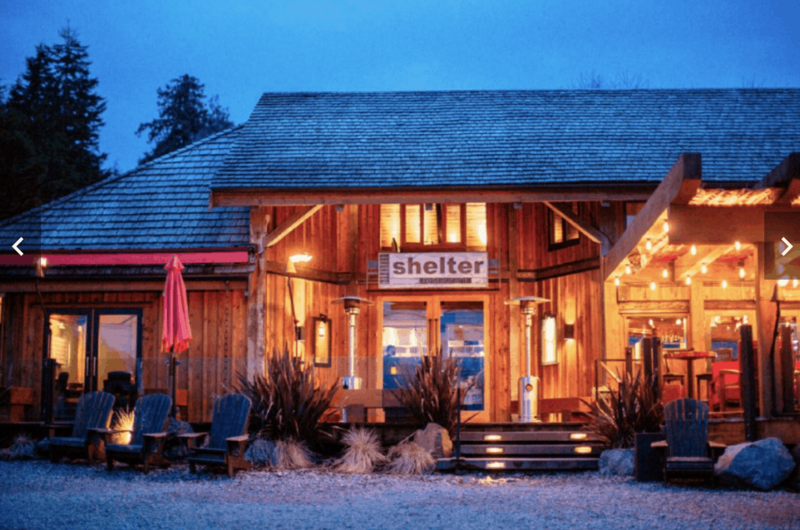 But in 2004, seasoned restaurateur and avid surfer Jay Gildenhuys bought it, gutted it and turned it into Shelter, a year-round community hub with fresh, locally sourced food and super friendly service. Start with a half dozen straight-from-the-water Vancouver Island oysters along with a glass of Prosecco, and finish with a belly full of seafood and a satisfied smile. Sitting right on the edge of Cox Bay, one of Tofino’s most consistent surfing beaches, Long Beach Lodge Resort is the quintessential beach resort. 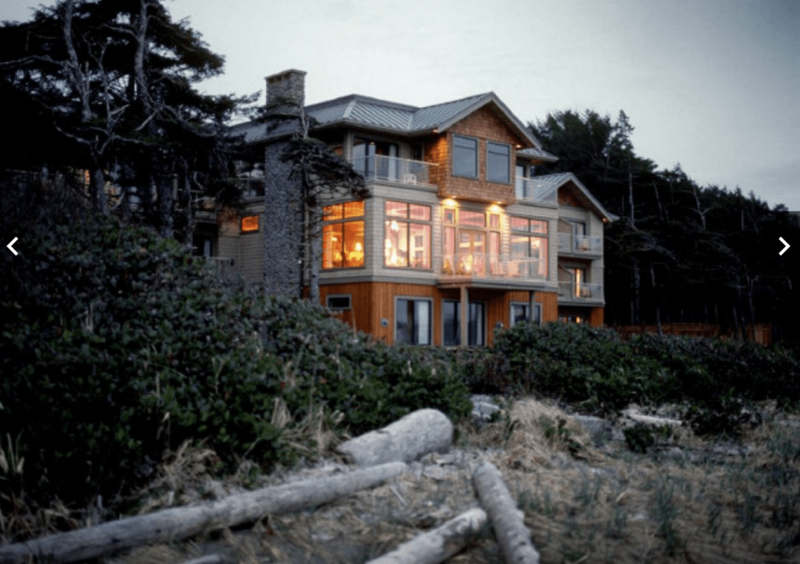 It combines a clean New England esthetic with that wild West Coast vibe to provide comfortable accommodation, top-notch cuisine and access to all the outdoor activities Tofino is known for. No matter your fitness level, take advantage of the high-quality surf instruction at the resort’s Surf Club and play in the waves that made this beach famous. This compact, contemporary bar and restaurant may be small but its menu and cocktail list are mighty. Pulling inspiration and ingredients from its natural and cultural surroundings, Wolf in the Fog is the fun place for a languid lunch. Order up a Cedar Sour, which combines cedar-infused rye and thyme to produce a powerful, woodsy flavour, and the Szechuan beef brisket, served with scallion pancakes and a Chinese cabbage salad. They won’t disappoint. Looking to snag a souvenir that truly represents Tofino’s beach-town vibe? Then head to Caravan Beach Shop. Its shelves are stocked with wooly sweaters, surfer-print socks and “Salty Sea” scented candles. Many of the present-perfect products are made or designed in the Vancouver Island area and all of them slot somewhere into that cold-water surfer lifestyle. It’s only fitting, since it had been the surf that drew owner Jen Thorpe to these sandy shores in the first place. Using Pacific Northwest hops, high-quality malted barley and fresh, mountain spring water, the gentlemen at Tofino Brewing Co. are whipping up small-batch beers worth tasting again and again. The Blonde Ale, with a roaring island cougar adorning its label, is light, crispy and goes down easy, while the Kelp Stout is as complex and rich as the locally harvested seaweed that goes into it. The brewery is open seven days a week and hopping with thirsty locals.